Use these tips to create a safe water environment for all to enjoy. Swim, don’t sink this summer. Swimming is a popular activity all year round and a great way to cool off, play and exercise. However, swimming and water-related activities are often sources of danger. Regardless of the type of water (pool, spa, lake or ocean), use good common sense and teach children the rules of playing near water. As you can see from our handy infographic, nearly half of all drownings take place in artificial bodies of water such as swimming pools. Nearly 80% of drowning victims are males and 70% of drownings are associated with alcohol use. Swimming with a buddy, not diving into shallow water and swimming when there is a lifeguard on duty are all excellent ways to stay safe. Sadly, children have a high rate of drowning or water-related accidents – all of which can be preventable. According to the Center for Disease Controlzfbzcuyqsybrvyararsyawfcfawwursr, most drownings of children ages 1 to 4 occur in swimming pools and for every death, another five children are treated for a nonfatal submersion injury. 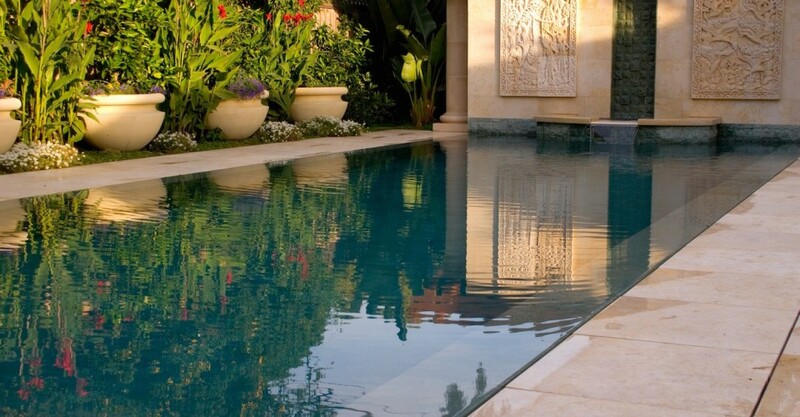 Home swimming pools should always be surrounded on all sides by a lockable gate (experts recommend a 4′ high fence) and when everyone is done swimming for the day, use a pool cover. Removing tempting toys from the pool deck will discourage children from wandering too close to the water. For children learning to swim, have them wear a life jacket or another floatation device – even when they are playing near the pool they will be protected. 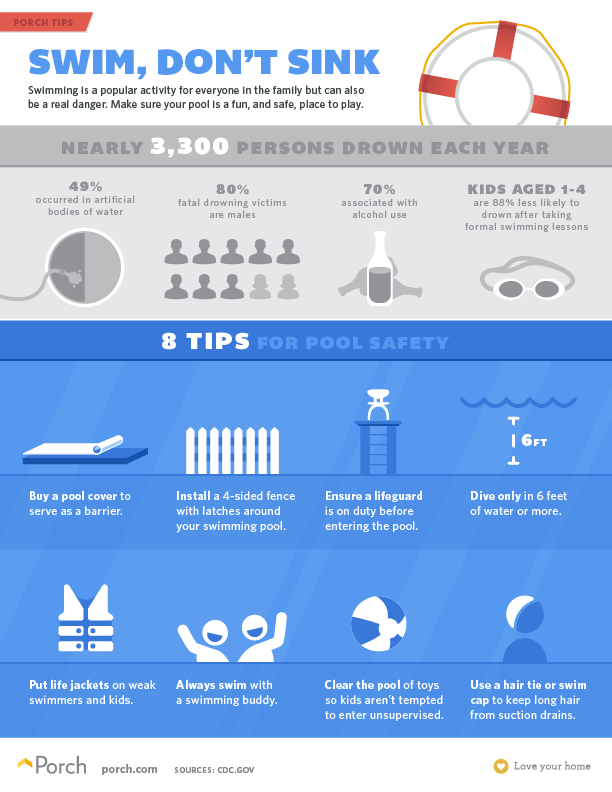 Lastly, it is reported that children who are given swim lessons are 88% less likely to drown. That sounds like a good reason to invest in lessons! Enjoy our Porch Tips this month and enjoy a splashy, and safe, summer!